It’s that time of the year again folks. 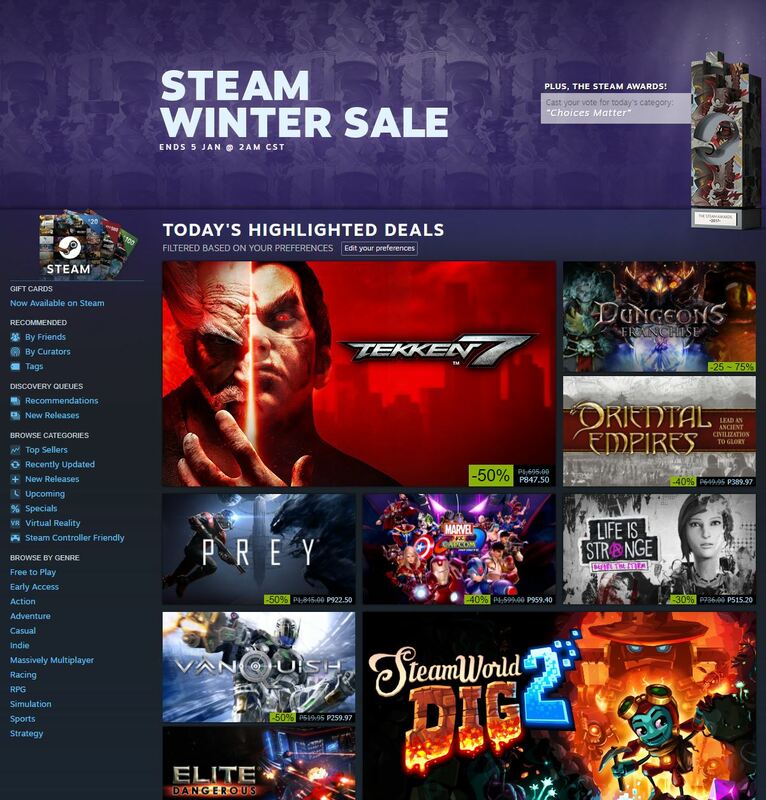 Prepare your wallets for the best Steam Sale of the year! Tekken, PUBG, The Witcher 3 and a whole bunch of other popular titles are on sale now so if you have been saving up your money for a good deal on games you’ve planning to buy, now is the chance to buy! Steam Link is also up for grabs for a cheap price though it might not be available in your area due to shipping (seems to be a non-Asia thing). Along side the Winter Sale, the second annual Steam Awards will be running so fans will have a chance to vote on their favorite games. Check out the rest of the discounts on the Steam Store.